The company wants to build a new Dunkin’ Donuts with a drive-thru window by combining 89 Stone St., which is in a business zone, and 1 Davenport St. into a single lot. AUGUSTA — A developer who wanted to build a Dunkin’ Donuts on the city’s east side will pitch his plan Thursday to the City Council, even though city planners rejected it in August. Cafua Management Co., based in Massachusetts, wants to change the zoning of 1 Davenport St. from low-density residential to a conditional local business zoning district. Its representative, Plymouth Engineering, will make another pitch for the zone change to councilors at 6:30 p.m. Thursday in council chambers at Augusta City Center. The company wants to build a Dunkin’ Donuts with a drive-thru window by combining 89 Stone St. and 1 Davenport St. into a single lot. “We hope that the Council will see the value of the project and the rezoning to provide an opportunity for the redevelopment of the adjacent (89 Stone St.) lot,” company officials state in a letter to the city. Many neighbors of the Davenport Street site spoke against the project when it went to the Planning Board, expressing concern it would bring additional traffic to an already heavily traveled and congested area. 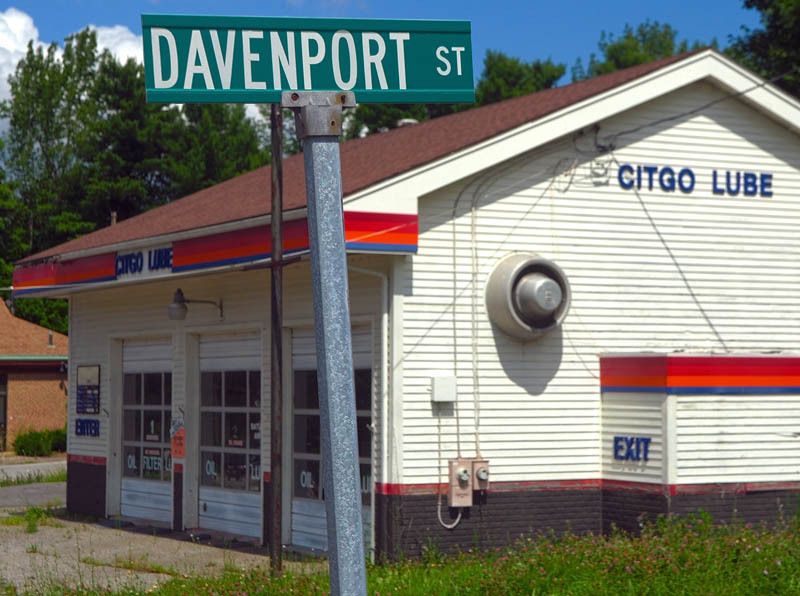 A former auto repair shop is at 89 Stone St., and a home is at 1 Davenport St. Both buildings would be demolished in the company’s plan for a new doughnut-and-coffee shop. There are five Dunkin’ Donuts in Augusta now. In late August, planners approved a Cafua Management proposal to build a Dunkin’ Donuts at 22 Western Ave., which will replace an existing Dunkin’ Donuts nearby on Sewall Street. • hear a presentation from City Councilor Dan Emery about his upcoming American Community Project cross-country trip, on a moped, meant to focus attention on hunger.